Stephenson Millwork specializes in custom architectural millwork including molding, doors, cabinetry, windows & more. Stephenson production leaves a lasting impression. Southern Industrial has been providing industrial construction services since 1962. The firm is the leading provider of turnkey industrial construction, plant installation, plant relocation, and plant maintenance services for businesses in the Southeast. In 2013, the company is acquired by EMCOR Group, Inc to add to EMCOR's growing industrial services capabilities. Southern Industrial employes over 1,000 skilled project managers, craftsmen, equipment operators, engineers, administrators, and safety professionals. Welcome to Newcomb and Company, a full-service heating & air conditioning, mechanical sales & service contractor in Raleigh and Wilmington, NC! Products for residential, multifamily and light commercial projects. AdvanTech subflooring and ZIP System sheathing and tape provide dependable performance. CPM Wolverine Proctor, LLC designs, manufactures, and sells processing equipment for the food, chemical, tobacco, textile, and Web processing industries. The company offers fluidized bed dryers/puffers/toasters; fluidized bed, impingement, belt, and turbo jet coolers; single, multiple, multi stage, and multi tier conveyor dryers/coolers; single and compak conveyor nut roasters/coolers; SCF - heavy duty equipment; and single conveyor dryers/heatsetters; and bake ovens, grills, and smoke ovens; cheese melters; and flaking and shredding mills. It also provides drum/truck/tray/loop dryers and tenters; Web processing equipment, including laminators, custom-designed handling equipment, curing chambers with humidity control, precision heated or chilled compaction units, Web dryers and vertical treaters, floatation and arch roll support dryers, unwinds/rewinds, coaters, accumulators, saturators, and complete processing lines; and tobacco equipment, including cased burley dryers/toasters, total blended strip dryers, stem and scrap dryers, reconstituted and oriental tobacco dryers, and leaf and strip dryers. In addition, the company offers textile/fiber equipment, such as batt dryers/curers, and glass fiber tower dryers, and impact dryers; test/lab equipment, including rotary batch dryers; and other equipment, such as batch nut roasters and continuous tunnel dryers. Further, it offers replacement parts, refurbishments and upgrades, and custom manufacturing services. The company sells its products through a network of agents worldwide. CPM Wolverine Proctor, LLC was formerly known as Wolverine Proctor & Schwartz, LLC and changed its name in July 2006. The company is headquartered in Horsham, Pennsylvania. It has tech centers in the United States and the United Kingdom. CPM Wolverine Proctor, LLC is a subsidiary of California Pellet Mill Company, Inc. Established in 1951, Amarr is one of the world's leading brands in design, manufacturing and distribution of sectional doors for residential garages, condominiums, commercial buildings, shopping malls, warehouses and other industrial applications. This trusted company ensures their clients with products that have a legacy of innovation, high quality design and sustainability. They offer garage doors including sectional, rolling sheet, rolling steel, and more. Log Homes of America, Inc. is a log home designer and manufacturer located in the Blue Ridge Mountains of Western North Carolina. Since 1989, this family-owned company has been making quality custom log homes an affordable reality. Family owned multifaceted, service oriented, roofing organization with many years of experience in virtually all major commercial and industrial roofing. CT Wilson Construction is a third-generation, family-owned, commercial general contractor in Durham, NC. Cates Mechanical is an industry leader in nested cartoner technology, providing machinery and services to 19 countries around the world. They provide fast, affordable solutions to clients in the ever-changing carton forming industry. They offer high quality products and adheres to the changes when it comes to technology in making carton. Green Ford is your source for new Ford and used cars in Greensboro, NC. Browse our full inventory online and then come down for a test drive. Penco's products are available through a nationwide network of distributors and serviced by a team of District Sales Managers. Penco's mission is to provide customers with value in the form of the finest storage products available. The need for storage products is universal, and Penco's markets span the spectrum of industrial, service, governmental and institutional organizations. Come experience the history and hospitality of Sanford, a small southern railway town that's steadily blossoming into a thriving city. Southern Spring & Stamping, Inc. manufactures springs and wireforms, and performs sheet metal fabrication and CNC Machining. PF Plumbing Contractors, Inc. is a drug free workplace. All new employees are drug tested. This shall be paid by the company, but this cost will deducted from the last paycheck of any employee who does not remain with company for a 90-day period. Dare County is the easternmost county in the US state of North Carolina. DH Griffin Companies is a group of six independently owned but integrated companies that perform contract demolition as well as environmental and site development services. Lyndon Steel has been meeting the needs of the industry since 1977 by providing high-quality steel at a competitive price with "on time delivery". This established company has state-of-the-art 100,000 square feet of fabrication facilities producing over 30,000 tons of fabricated steel per year in one of their three plants. Some of the industries they serve are commercial, medical, education, industrial, and government, among others. R&W Construction Co., Inc. has been serving Eastern North Carolina with pride and excellence since 1974. With a reputation for quality, timely work, R&W has established a productive working relationship with agencies and builders in both government and private industrial construction. 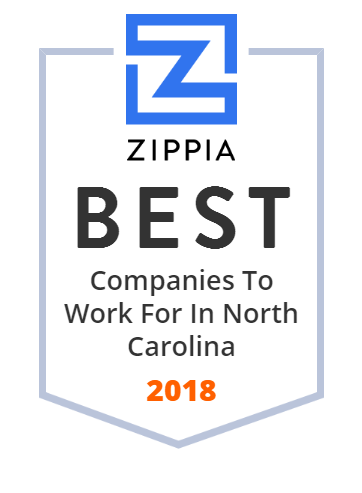 Oldest and most reliable plumbing & HVAC company in the triangle! Turnkey Millwork is committed to bringing you beautiful, low maintenance millwork products at affordable prices. We are leaders in the innovative use of cellular PVC for the manufacture of synthetic millwork products. Ditch Witch of North Carolina is located in Garner, NC offering directional drills, skid steers, trenchers, trailers, vacuums & more. Call 800-545-9015! MSS Solutions serves our clients' needs on new construction and major renovation projects as well as preventive maintenance, equipment repairs, and system upgrades. Call us today to learn more! Bar Construction Company is a commercial builder specializing in commercial, education, financial, healthcare, churches and public safety. Apollo Valves, manufactured by Conbraco Industries, Inc., is a family operated business, supplying the Commerical and Industrial valve markets since 1928. Precision Walls, Inc. is the Southeast's premier specialty contractor for commercial drywall, partitions, acoustical ceilings, wall panels, and more. American Fire Technologies provides full service fire protection solutions from system design and installation to testing, maintenance and consulting. LL Building Products, Inc. manufactures and markets ornamental iron and ductwork products to service the building materials, HVAC, and door hardware industries in the United States. It offers pipe, elbows, fittings, and insulated flexible duct products; ventilation products, such as power and static vents, ridge vents, roof top venting products, house fans, and chimney caps; ornamental iron products, including rails for a homeowner's ornamental needs and fall protection devices. The company also provides prefabricated ductwork products, such as plenums and air returns, collars and take-offs, trunk and branch lines, transitions and connectors, in wall duct systems, register boxes, heavy gauge systems, miscellaneous items, and manufactured housing systems. In addition, LL Building Products offers accessories, which include vents and adjustable versa caps. It offers its products through a network of retailers and wholesalers. LL Building Products, Inc. was formerly known as Leslie Welding Company and changed its name to LL Building Products, Inc. in 1998. The company was founded in 1938 and is based in Burgaw, North Carolina. As of June 18, 1998, LL Building Products, Inc. operates as a subsidiary of Building Materials Corporation of America, Inc.
Web-Don, Inc. offers a wide variety of counter-top and cabinet products and solutions. With 6 locations in the southeast, some of Web-Don's biggest brands include Wilsonart, Formica, Hanstone Quartz, and more. Industrial Piping, Inc. provides design, engineering, fabrication, procurement, construction, and fire protection services to industrial manufacturing facilities in the United States and internationally. It offers design and engineering services that include P and IDs, project budget/cost analysis, 3-D system modeling, modular/skid mounted system design, equipment and instrument specifications, finite element analysis, piping design and isometrics, and procurement services; mechanical, electrical, structural, and instrumentation/controls engineering; and chemical process, compressed air, steam condensate, dye, ethanol/biodiesel, fuel oil, gas, hydraulic, oxygen/hydrogen/nitrogen, refrigeration, and water plant systems. The company also provides fabrication services; modular fabrication services for field construction to plant owners, OEMS, and engineers; and pipe fabrication and metal finishing services. In addition, it offers construction services, including process equipment installations, process and utility piping installations, and on-site repair services for pressure vessels. Further, the company provides fire protection services that include design, fabrication, and installation of interior and exterior automatic fire sprinkler systems; repair, inspection, system modification, and testing of existing sprinkler systems, as well as new construction; installation services for industrial, commercial, and institutional facilities in the Southeastern United States; and inspections and modifications/upfits for fire protection systems. The company was founded in 1945 and is headquartered in Charlotte, North Carolina. The Carolinas' premier ready-mix concrete producer headquartered in Charlotte, North Carolina providing ready mix concrete and related services throughout the Carolinas.